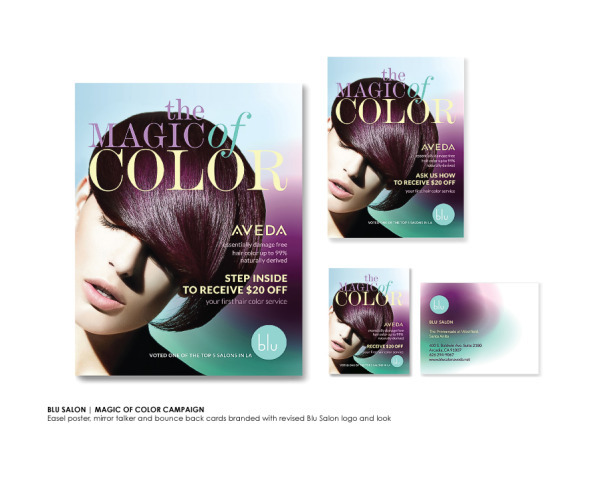 Jump start your summer sales with advertising that attracts attention and promotes your salon and/or spa. Summer tends to be a slower time of the year for the salon industry, so promoting your business is crucial during this highly competitive time of year. Using retail signs on your storefront and throughout your salon or spa to increase your sales and attract new customers. Window clings are perfect for easy storefront advertising. They cling to the window using static electricity, so they are easy to put up and remove when the promotion is over. Your cling should have a hard-selling message that will grab attention and pull in customers. Specials are perfect campaigns to pull in customers wanting to get beautiful before walking out in a bikini. Once you get summer customers in the door, it’s easy to sell them on your services. To add emphasis to your hair and skin care products, services, or packages add signage inside like posters, mirror talkers, and POP signs with images that show off results. Shoppers are visual, so the more appealing and relatable your copy and images are the more successful they will be. Salon signage offers a great opportunity to increase sales during the summer season and can help make your business more competitive. BeautyMark Marketing offers salons jumbo posters, window clings, easel stand graphics, POP signage, mirror talkers, bounceback cards, postcards and much much more. Come to us for all of your promotion and signage needs, including our Ready-To-Wear Campaigns.